Andrew McCutchen may have already played his final game as a member of the Pittsburgh Pirates. There are growing reports that the Pirates are “actively shopping” the 30-year old star, making a trade increasingly likely to happen at some point this offseason. Multiple sources indicate that the Pirates are being proactive and calling teams to offer them McCutchen, asking for prospects in return. McCutchen is coming off the worst season of his big league career, hitting .256 with a .766 OPS, both career lows. The Pirates aren’t exactly selling high on him, but they appear eager to move on from their longtime star and get something in return for him. McCutchen will make $14 million in 2017 and then has a $14.75 million option for the following season before becoming a free agent, so now may be the best time to trade him before he becomes a free agent. Despite McCutchen having a down year in 2016, the Pirates aren’t necessarily unhappy with him. However, they younger and cheaper outfielders in Starling Marte and Gregory Polanco, and so the Pirates believe they can put together an outfield that’s nearly as good and far more cost effective without McCutchen. If McCutchen were traded, Marte would likely move to center field, opening up a corner outfield spot. Josh Bell, who has started the transition to first base in recent years, could potentially fill the open spot in the outfield. The Pirates also intend to move prospect Austin Meadows to a corner outfield spot. Meadows is one of the top-10 prospects in baseball, according to MLB.com, and could be ready for the majors at some point in 2017. 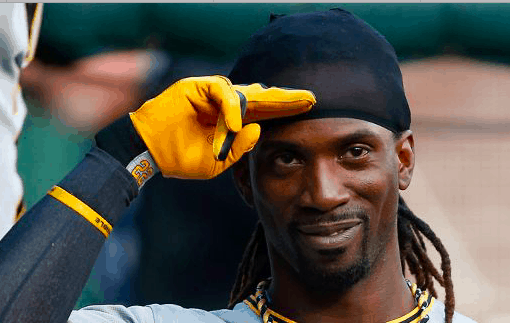 Thus far, the Washington Nationals, Texas Rangers, and Seattle Mariners have emerged as the teams most connected to the Pirates with regard to McCutchen. The Nationals are poised to make a major move this winter, and had discussions with the Pirates about McCutchen over the summer. Washington would prefer to add a center fielder externally rather than bring back Ben Revere, so it wouldn’t be surprising to see them be aggressive in a trade with the Pirates. The Rangers are also in need to a center fielder with Ian Desmond and Carlos Gomez both likely to sign elsewhere in free agency. Texas would also like to give Shin-Soo Choo more time at DH in 2017 to help keep him healthy, potentially creating two vacancies in their outfield, with Nomar Mazara pencilled in at one corner spot. Meanwhile, the Mariners have been quite busy this offseason, most recently acquiring shortstop Jean Segura. Seattle has quite a few outfielders on its roster, but none are proven stars. McCutchen would certainly give the Mariners some star power, not to mention another middle-of-the-order bat alongside Kyle Seager, Nelson Cruz, and Robinson Cano. Of course, teams looking for a center fielder have several options on the free agent market, most notably Dexter Fowler, who is being targeted by the Blue Jays, among other teams. Desmond, Gomez, Austin Jackson, and Michael Bourn are also free agent options that teams may view as better options than having to meet Pittsburgh’s demands in a trade for McCutchen. Nevertheless, the Pirates appear to be quite motivated to move McCutchen this winter, making it increasingly likely that his days in Pittsburgh are numbered. How teams value McCutchen coming off the worst season of his career is unclear, but there should be enough demand for a player of his stature for the Pirates to receive a substantial bounty in return. Nothing is imminent at this time, but McCutchen being traded appears to be something to watch closely in the days to come.